Known for her husky and unique voice, Cree Summer Francks was born on July 7, 1969, in Los Angeles, California, to Lili Red Eagle and Don Francks. It wasn’t long after her birth that her father decided to relocate the family to Saskatchewan, Canada, because he didn’t want to raise his children in Hollywood. Initially, life was tough in the Plains Cree Reserve, where the family lived in a house made out of mud. Cree attended school in Toronto but it didn’t hold her interest. By the time she turned thirteen, she was already making money, doing voiceovers for cartoons. She got her first job in 1983, when she lent her voice as Penny in the cartoon version of “Inspector Gadget”. Her distinctly throaty voice was a hit amongst casting agents who started flooring her with offers to be a cast member of many animated projects. Some of them include, “The Care Bears Movie” and “Ewoks” in which she voiced Princess Kneesaa, “Tiny Toon Adventures” in which she voiced Elmyra Duff and “The Real Ghostbusters” in which she voiced Chilly Cooper, amongst many others. By now, her voice had garnered her substantial popularity amongst her fans and in 1987 she finally got the opportunity to put her face on her voice when she was offered to act in the television show, “A Different World” as Winifred Brooks. She remained a part of the show till its end in 1993. 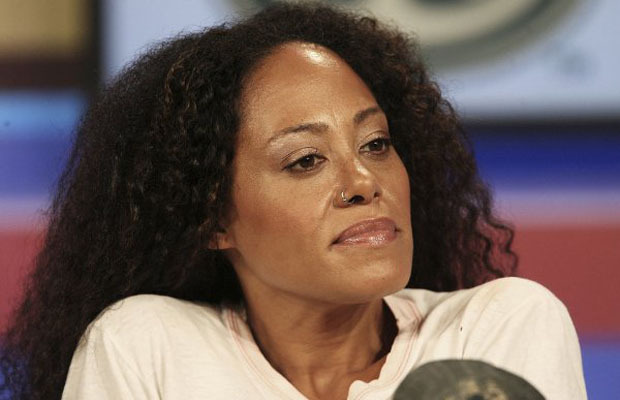 Alongside working for “A Different World”, Cree Summer continued doing voiceovers. In 1994, she was part of the cast of the television series, “Sweet Justice” but unfortunately it was cancelled in 1995. She appeared in several guest role appearances in television shows such as, “Living Single” and “The Fresh Prince of Bel-Air” but mostly, her professional work has been centered on voice acting. She has more than hundred animated voiceovers to her credit done in between 1983 to 2006, most of them of African-American girls. Her work has not been just limited to television series but rather expands over to video games and animated movies and commercials too. Some of her more famous roles include the voices of; Princess Kidagakash in “Atlantis: The Lost Empire”, Granny May in “WordGirl”, Susie Carmichael in “Rugrats”, Tiff in “My Life as a Teenage Robot” and Blackarachnia in “Transformers Animated”, amongst many others. According to her, she was also hired to do the voiceover for Meg Griffin in the television series, “Family Guy”, but she was fired from the job by the producers. She has also lent her voice to several video games such as Tandi in “Fallout”, Storm in “Marvel Super Hero Squad”, First Citizen Lynette in “Fallout 2” and Tatjana in “Arc the Lad: Twilight of the Spirits, amongst many others. Apart from her work as an actress, Cree Summer has also made a name for herself in the music industry. An avid singer, she first formed a band when she was only thirteen years old. One of the first few songs she recorded was the theme song for OWL/TV in 1985. Following in 1993, she and her band, “Subject to Change”, released their first album. In 1999, Summer released her solo album, titled “Street Faërie” which was produced by Lenny Kravitz. The album garnered moderate success enough to keep Summer passionate about singing professionally. She sings for most of the characters she voices for such as; Priscilla in “Sherriff Callie’s Wild West” and Foxxy Love in “Drawn Together”.